Jicama—pronounced “hick-a-ma”—is a crunchy, slightly sweet and nutty root vegetable. 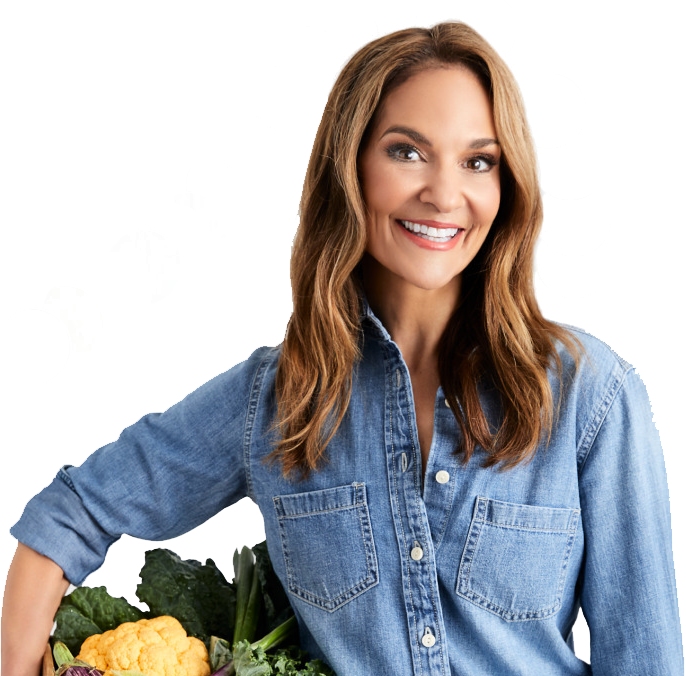 In my house we make “health-nut fries” by slicing it into strips, squeezing on some lime juice and seasoning with all sorts of interesting blends. This recipe calls for onion and chili powder, but even just adding ground black pepper and a dash of kosher salt works well. For a baked version, try this recipe. 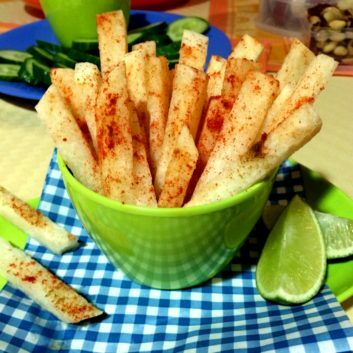 Peel jicama and cut into ½-inch strips. Sprinkle with lime juice and desired seasonings. Enjoy!